There are no words that properly contextualize the tragic killing of Trayvon Martin. His parents and loved ones will grieve for him long after the media frenzy moves on to the next national outrage. While it’s good that we’ve placed an enormous magnifying glass on the laws and police force that allowed a man to gun down an unarmed teenager to walk away charged with no crime, it comes at a heavy price. Bitter enemies who had never heard of Trayvon before are now exploiting his demise to settle old scores. I’m talking of course of the conservatives who emerged from the weeds to earn a few seconds in the spotlight by criticizing President Obama for offering his public condolences to Trayvon’s family. It comes as no surprise that Obama’s remarks would earn him flak from a certain percentage of his detractors, as they tend to attack him for nearly everything else he says and does. What I fail to comprehend, however, is the particular umbrage taken against the President for his candid admission that race played a central role in Trayvon’s murder. 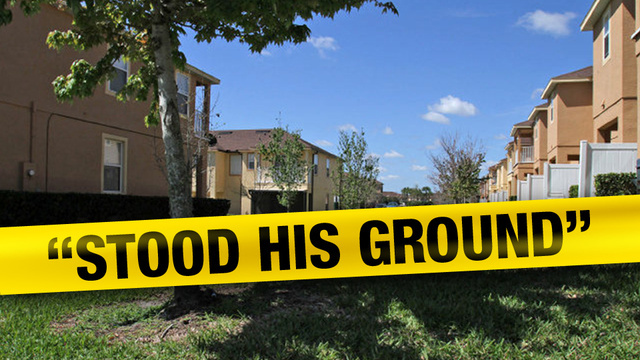 First and foremost, Zimmerman viewed an unarmed black teenager as a threat. And this was not the first time this happened . According to Kevin Drum of the newsblog Mother Jones, Zimmerman made at least four separate calls to police about black teenagers traversing through his neighborhood, even though he never actually witnessed them brandish any weapons or commit any crimes. As far as it can be gathered, the most “suspicious” thing Trayvon did was obscure his face by pulling up his hoodie, which is hardly suspicious at all when it’s raining outside. Secondly, Zimmerman deliberately disobeyed the police order to not pursue Trayvon. While his initial 911 call may have been unwarranted, tragedy could have been avoided if it was left at that. Instead, after remarking that “they always get away,” Zimmerman pursued Trayvon despite specifically being told not to by the police. Other than pulling the trigger and ending Trayvon’s life, this was his most egregious mistake. Even though we’ll never know for sure what made Zimmerman decide he needed to use his weapon, he was the one who brought the weapon near Trayvon in the first place, and he was the one who needlessly escalated the situation. 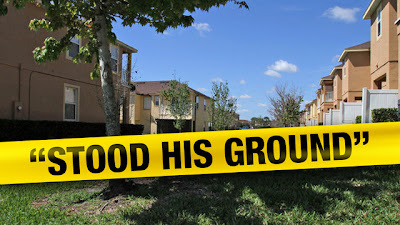 Finally, the police clearly mishandled the situation after Trayvon was murdered. So much so that Bill Lee, the Sanford chief of police found it necessary to temporarily resign. There are allegations that officers on the scene pressured witnesses to change their accounts of what happened. Zimmerman’s own testimony that Trayvon hammered his face and reached for his gun appear to be contradicted by police surveillance videos, which show Zimmerman without a scratch on his face or head. Maybe this is all a serious of unfortunate circumstances that could have happened to anybody, regardless of race. Or maybe, just maybe, it’s time to force ourselves to remember the ugly, racist chapters of our country’s history. The Civil Rights movement didn’t take place all that long ago. There are many Americans who can still remember the horrific lynch mobs that often arose when situations like this took place. An African-American would be accused of a crime despite there being no evidence. A vigilante or group of vigilantes would enact mob justice with the intent of ending a life. And the police would often turn a blind eye, if not directly participate in the murder of an innocent victim. There are many of us who would like to believe that racism in America is over, and things like this can’t happen anymore. Obviously, they can. It does us no good to pretend not to see race playing a central role in the killing of Trayvon Martin, simply because we’re afraid of what that might mean. If there is any good to come of the slaying of an innocent teenager, it would be that we all recognize what we know to be true. As long as African-American teenagers wearing hoodies still constitute a threat to certain people, then racism isn’t over in America. We still have a long way to go.